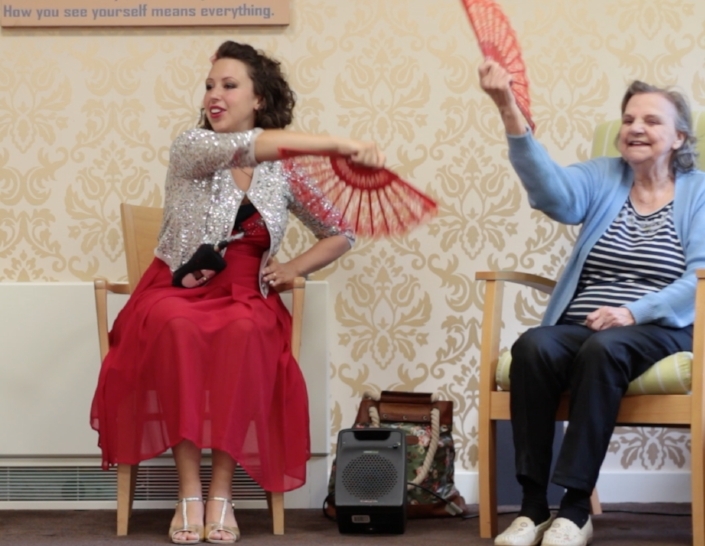 Golden Toes is about bringing dance, music and joy to the older person. Breeze created the syllabus for Golden Toes to bring dance, music and joy to older people. Along with her husband, musician Michael, she also created the unique music for the syllabus. Breeze has danced since the age of three years and has been teaching dance and music for 10 years. She is highly experienced with a wide range of ages, backgrounds and abilities. Breeze gets the best out of everyone, whatever age, whatever ability. Managing Director Veronique Murdoch has had experience within the care environment from a young age when her family owned a care home on the South Coast. Veronique believes that hobbies and interests play a big part of happiness and that it is important to maintain engaging activities to help with a sense of overall wellbeing and achievement. Studying ballet and dance at school and gymnastics to a high level, Veronique has always had a passion for dance, movement and music. Breeze and Veronique are mother and daughter and they love all the students, teachers and staff they come into contact with. "it is a real pleasure to do these classes, something very special happens." THE SAMBA - "BEAUTIFULLY DANCED"
"My grand-daughter is a Golden Toes teacher. While she was training she asked if I would like to participate in a class so she had someone to practice on. I didn't know what to expect but wow, it was incredible how good I felt. Having very little mobility in my lower body I was unsure of how much I was going to be able to join in with. I managed every movement and loved using the props for each dance style. The next day I felt amazing - all my muscles were loose and relaxed, I would definitely join in with a class again." All relevant data we collect and store including contact details, names of key members of staff at establishments we provide services to, our members of staff, franchisees, teachers, people who provide services for Golden Toes and prospective candidates for all the aforementioned, that which enables us to stay in touch, conﬁrm bookings, send invoices and information to provide the best service possible. All such data is held securely either electronically on password protected devices and/or in paper form stored in locked ﬁles. As an individual you have the right to request access to the data that we hold about you and the right to unsubscribe at any time. We share relevant customer information within our organisation but never share information with any companies or individuals outside of Golden Toes unless with written authorised consent. We do not use personal data for automated decision making and proﬁling.